Apple Box Studios is pleased to present our latest web design project: the new Gateway Rehab website. 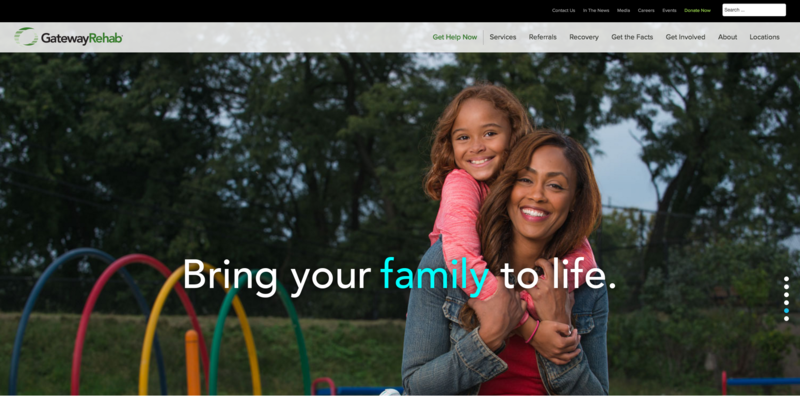 In tandem with the branding campaign, Bring your•self to life, the website enhances Gateway’s message and highlights their mission to help all affected by addictive diseases. The web and design team at Apple Box created a responsive site that carries the brand throughout each page through use of color, imagery, font and content.